Ahhh September call-ups. 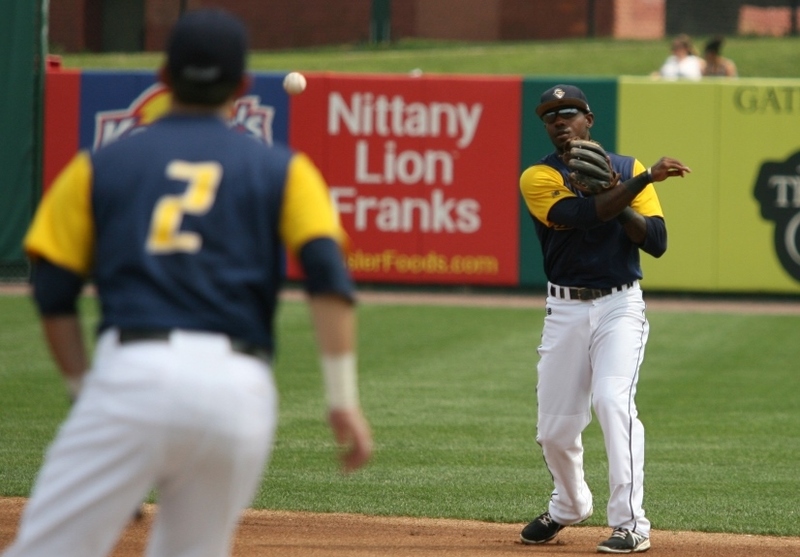 An exciting time of the year for Atlantic League fans and front offices, as they wait in suspense to see if any of their alums from either earlier in the current season or seasons past will crack a big league roster. Of course, it ‘s a double-edged sword; while many players will perform in a way deserving of a call-up, much of it hinges on where the Major League team and their Triple-A affiliate are in the standings. We’ll use Andy Marte as the most recent example, but the same tenets can be applied to any Triple-A player doing well. We bemoaned the fact Marte was in York as long as we was (.301, 19 HR, 74 RBI in 96 games), and he’s done better in Triple-A, batting .343 with four homers and 12 driven in his first 20 games with Salt Lake. He seems like a prime candidate for a Major League audition in Anaheim, to see if at 29 Marte can shake off the well documented struggles of his youth in the show with the Cleveland Indians. So Rommie’s season will be extended, but unfortunately he will not close games for the final three weeks of the Atlantic League campaign. 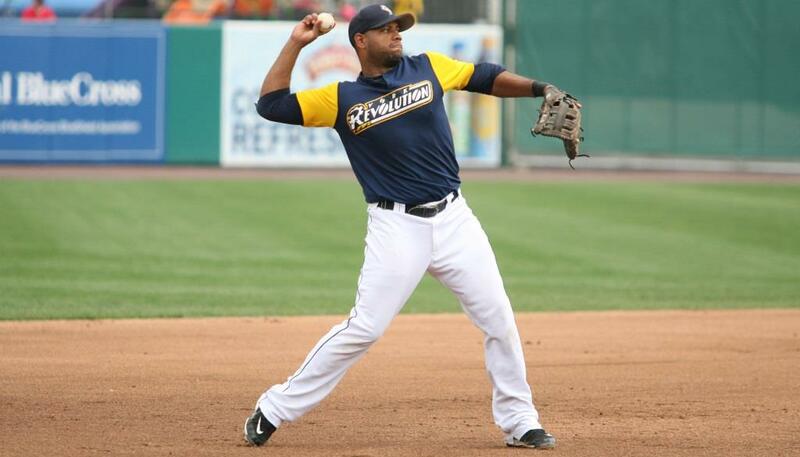 After Juan Rincon’s departure, Lewis had settled in nicely to the closer’s role. 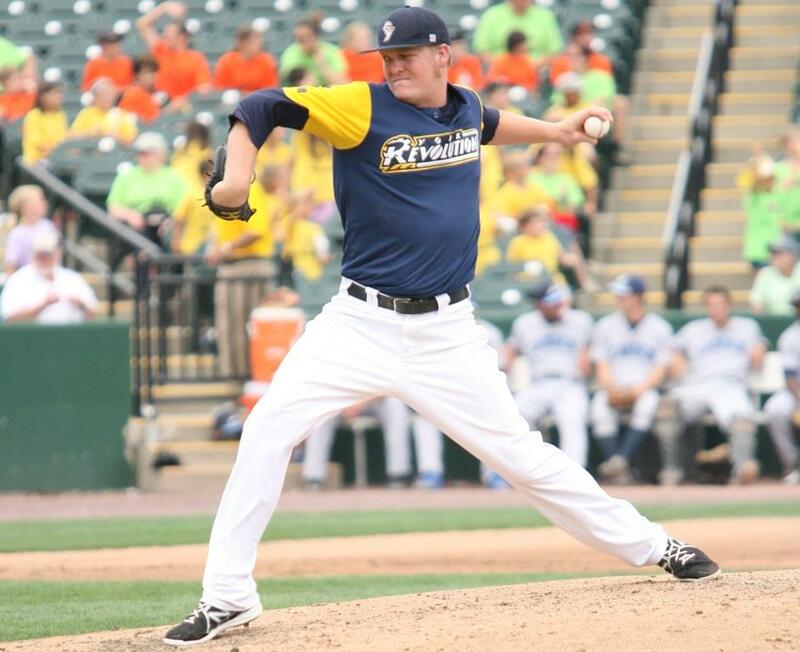 He was also terrific as a seventh and eighth inning guy for York this year and departs with a 1.51 ERA and 35 strikeouts, with just 12 walks in 47 appearances and 41.2 innings pitched. The lefty converted five save chances. Despite the disappointment of not being picked up domestically, you’d have to assume Lewis’s numbers this season will earn him a spot in somebody’s big league camp in February as a non-roster invitee. He logged 20 games out of the Toronto Blue Jays bullpen over the 2010 and 2011 seasons. We don’t talk nearly enough Civil War history on this blog…until now! As you know, the weekend of August 23-25, the Revolution are merely trying to run up the score on the Barnstormers in Lancaster in the 2013 War of The Roses, already having clinched the Community Cup by winning 11 of the first 17 games between the two this season. Robert E. Lee surrendered his Confederate Army in Virginia in a meeting with Ulysses S. Grant at Appomattox Courthouse, VA on April 9, 1865, effectively ending the war. As news spread, each remaining Confederate army also surrendered wherever they were fighting once news of Lee’s surrender reached them. The news reached the western-most front of the war last, as news traveled slow. Over May 12-13 in Cameron County, Texas the Battle of Palmito Ranch took place nearly a month after the war ended, with each side still thinking it was going on. Despite only having 300 soldiers to the Union’s 500, the battle is considered a resounding Confederate victory; 101 Union soldiers were captured (and shortly released thereafter), to go with four killed and 12 wounded. The South only suffered five wounded and three captured. Either way, at least none of them will be captured. When Major League rosters expand on September 1, five former members of the Revolution in Triple-A will be hoping for a call-up to join Mets pitcher Scott Rice as York alums in the big leagues. In addition, five additional former Revs are currently at Double-A. After the jump is a comprehensive update on how all of these guys are doing with their new organizations. We all know what is maybe the best individual story of the 2013 season by now. But it never hurts to mention that after 14 minor league seasons, Rice earned his way onto a Major League roster for the first time out of spring training this year, and pitched a 1-2-3 inning for the Mets against San Diego to close an 11-2 win on Opening Day in Queens. At 31, Rice was the oldest rookie on any MLB roster to start the season. Once he finally reached the big leagues, Rice made it a point to stick. At one point, he strung together 14 consecutive scoreless appearances, and will probably lead the National League and the Majors in appearances by season’s end. As of August 20, he’d appeared in a MLB-best 64 games. In such games, Rice held the opposition to just a .230 average, allowing just one home run. On April 7, Rice earned his first MLB win in New York against the Marlins. On May 19, he earned the winning decision in his first appearance at Wrigley Field in the Mets 4-3 triumph over the Cubs. Perhaps Rice’s most impressive achievement this season however was naming all 18 minor league clubs he played for from 1999 to 2012, from age 17 to age 30, when put on the spot live by MLB Network’s Chris Rose during the afternoon show Intentional Talk. He nailed them all, and which year he played at each, with the 2011 York Revolution on the list. 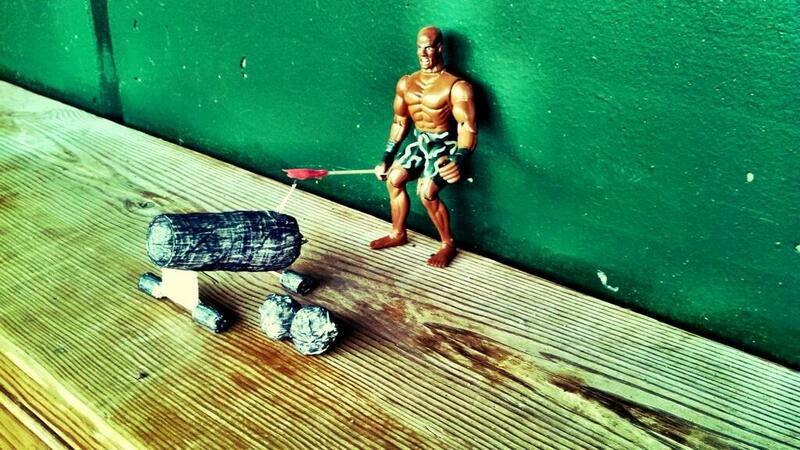 Finally, the opposing team has taken a liking to Cannonball Charlie and his weaponry. The photo above is courtesy of Patriots pitcher Graham Taylor (@GrahamTaylor34), showing a homemade toy cannon, constructed from what appears to be paper cups, athletic tape and a Sharpie. Looks like a couple cannonballs are there as well. It’s hard to believe it took seven seasons for a team to make their own cannon, as of course Cannonball Charlie only fires for Revolution home runs and wins. Unfortunately for York, the Somerset “mini-cannon” was first fired after Jeff Baisley’s 2-run homer in the sixth gave the Patriots a 3-2 lead enroute to a 4-3 victory on August 19. On a related note, Cannonball Charlie is on Twitter now if you haven’t heard. Follow him – @CannonBCharlie. The Revolution are holding an online jersey auction for their game-worn, blue and gold alternate jerseys from the 2012 and 2013 seasons through September 7. This is the first online auction of game-worn jerseys since following the 2011 season, when the team auctioned off their entire uniform set as they prepared to unveil new colors and logos. While the home white and road grey designs will not change for next season, the team will be sporting new alternates to be revealed sometime this offseason. So here’s your chance to bid on the game-worn jersey of a favorite player from the last two years, at this link: http://www.webstore.com/other_items.php?start=20&owner_id=164976&o=EndTimeSoonest&nb=41. The starting bid for each jersey is either $50 or $100. The jerseys were created special for the Revolution by their official outfitting partner, New Balance. Good luck! Prior to being signed by the Revolution in the offseason, Juan Rincon informed the organization that he was only available to pitch until September 1, to allow for rest before winter ball. 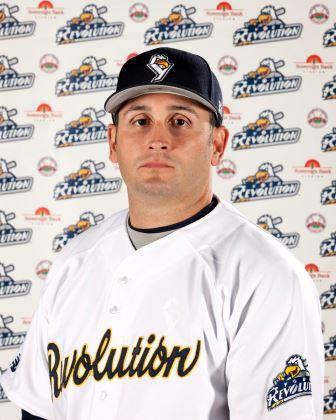 The Revolution agreed, knowing they could add a back-end bullpen piece if they were in contention late in the year, such as franchise all-time saves leader R.J. Rodriguez who opted to go elsewhere. With the Revolution out of the postseason race, adding a closer-type like Rodriguez seems unlikely now. That plan was set in motion a little early on Monday, and Rincon was placed on the Inactive LIst. With three off days remaining amongst the final 25 games, the bullpen will get proper rest and the team added pitcher Will Savage on Monday as well to cover Rincon’s spot on the roster. Rincon converted 22 save chances this season, and he departs as the single-season franchise leader in that category. He eclipised Michael Nix’s record of 18 from the 2011 season. Rincon, 34, is a veteran of 444 Major League games between 2001 and 2010 with the Twins, Indians, Tigers and Rockies. In his absence, expect Rommie Lewis, Stephen Penney and Michael Wuertz to share the ninth inning role depending on the day and who is at bat.